Manipur,IMPHAL, July 15: Believe it or not, a reptile known as Tokay Gecko could fetch million of rupees and it is in high demand in foreign countries for its supposed extraordinary medicinal value capable of treating dreaded diseases like AIDS and cancer. is a nocturnal arboreal gecko, ranging from northeast India, to Nepal and Bangladesh, throughout Southeast Asia, Philippines to Indonesia and western New Guinea. It is the second largest Gecko species, attaining lengths of about 11–20 inches (28–51 cm) for males, and 7–19 inches (18–48 cm) for females, with weights of only 150–400g. They are distinctive in appearance, with a bluish or grayish body, sporting spots ranging from light yellow to bright red. The male is more brightly colored than the female. They have large eyes with a vertical slit pupil. Eyes are brown to greenish brown and can be orange or yellow. Tokays are also found in the hills of Manipur. Reportedly, there are some foreign buyers in the state and their agents are around looking for larger specimens of this reptile. According to some poachers, the agents are looking for bigger Tokays measuring not less than 14 inches from head to tail and weighing about 200 gram. Such large specimen could fetch more than two million rupees. However, large Tokays are hardly found though smaller ones are abundant in the hills. The hunt for Tokay Gecko is going on in many parts of the hill districts of Manipur. Even people from the valley have reportedly gone into the interiors of hill districts in search of this million-rupee reptile. The poachers are indeed lured by this reptile. 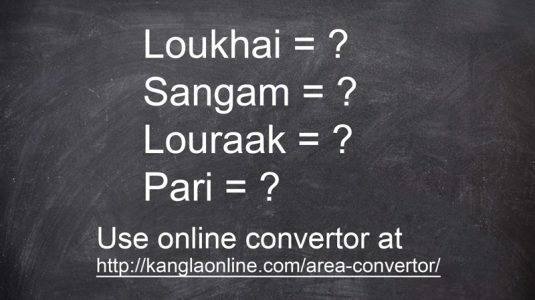 It is not known whether sale of such reptile is banned in the state. 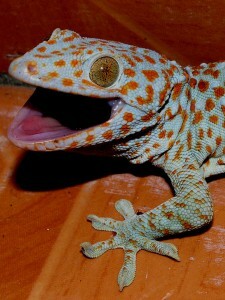 Tokay Gecko is quickly becoming a threatened species in Philippines because of indiscriminate hunting. Collecting, transporting and trading geckos without a license can be punishable by up to twelve years in jail and a fine of up to 1,000,000 pesos under Republic Act 9147 in addition to other applicable international laws. However, the trade runs unchecked due to the sheer number of illegal traders and reports of lucrative deals. Chinese buyers and other foreign nationals are rumored to pay thousands of dollars for large specimens, reportedly because of their alleged medicinal value or as commodities in the illegal wildlife trade. The Philippine government has issued a warning against using geckos to treat AIDS and impotence, saying the folkloric practice in parts of Asia may put patients at risk. I m from Agartala Tripura…there is a tokay gecko in my home you want buy? If you have Gecko. Please send for me photo and video. Email: [email protected] thanks so much! [email protected] if you are interested.. I have a lot of gecko here in Philippines measuring 16 inches above.. I have Tokay gecko 220gm+17cm. Buyers contact 7005336949 Northeast India. Comment:any media, rugular suppliers can cl..
I’m from Vietnam. Can you buy Gecko in Vietnam. I have tokay gecko. Plz contact me. I don’t no what is fact about this animal really it is sold million rupees I have seen this type of reptile more then 20 time its looks like a golden big lizard its length more them 14inch.